Target Audience: appropriate for all people interested in attending to their own unconscious as a way to become more whole. The session is oriented towards personal growth, but professional applications are considered as well. 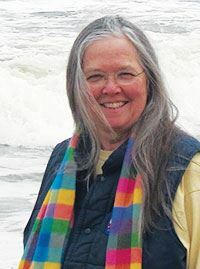 Presented by Dorothy Firman, Ed.D, LMHC, BCC is theFounder & Director of Training, of The Synthesis Center and a Founding Director of the Association for the Advancement of Psychosynthesis. In this interactive webinar, we will play with the unconscious as it shows up in dreams, in daily life, in synchronicity and intuition, and in the imagination. We will start with the assumption that all that we carry or access from our own unconscious or the collective unconscious can be used as an ally. Even nightmares can be befriended towards our own growth and well-being. Especially in difficult times, be they personal or cultural, trusting the unconscious widens our scope of possibility and responsiveness. By accessing our larger knowing, we can choose beyond old and limiting stories and into new and expansive ones. To trust our unconscious is to build a bridge between our Higher self and our personality, allowing us to live resonantly with our inner Call of Self. Learning some simple methods for being open to the unconscious, working with it, and knowing how to keep it contained, as needed, allows participants to have a fluid relationship between conscious and unconscious words, between waking and sleeping, between knowing and not knowing! Issues that have been hard to resolve may find easier resolution in this alliance. Equally; intuitions, gut feelings and desires can be allowed into the conscious mind for inclusion and consideration. Learning to have a strong centered Self, facilitates the interplay between these worlds. Activate awareness and will towards opening a channel of communication with material that presents from the unconscious. Engage in creative processes to support a fluid relationship between Self and all that is held in the world. Choose practices that will support the experience of opening to the unconscious. Registration closes end of day on Friday, September 22nd.